9 negatives : b&w; ; 4 x 5 in. 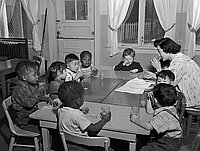 Multi-ethnic children in nursery class of the All People's Christian Church in Los Angeles, California, February 4, 1950. Children play in sandbox, make crafts, listen to storytelling, eat snacks, and play on swings. 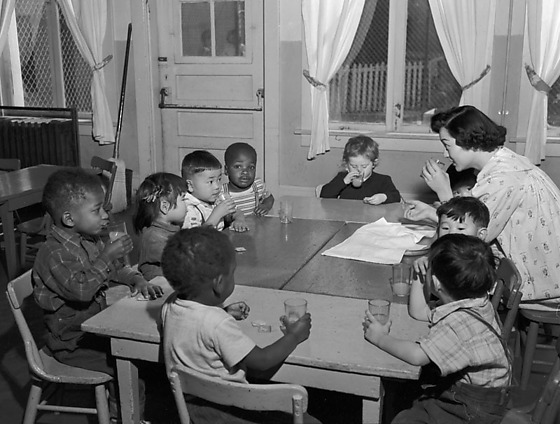 Typed on original negative envelope: All People's Church -- Nursery Class.